Is Trump a fascist? Let’s start with another question: why do we want to know? Is it simply to stick him with the most damning political label available? Or is it because his ideas, his actions, his support really put him in the same genus as the fascist movements and regimes of interwar Europe? For months, historians of the twentieth century have been looking nervously at Trump and asking what tools we have to understand the man, his popular appeal and his backers – and to measure the danger he represents. Against my own better judgment, I have been spotting Mussolini in this gesture or turn of phrase, Hitler in that one; I have been watching the manipulated interactions of speaker with audience, the hyperbolic political emotions, the narcissistic masculinity, the unbridled threats, the conversion of facile fantasies and malignant bigotries into eternal verities, the vast, empty promises, the breath-taking lies. A whole repertoire seems to have returned us to the fascisms of interwar Europe, acted out by a man whose vanity is equalled only by his ignorance. But has it? Fascism has always been a challenge for historians to pin down, empirically or conceptually. It is not alone in testing our precision. You could say the same of ‘populism’ – another term much in circulation these days – or virtually any other ideological -ism; they all resist conclusive definition. What’s particular to ‘fascism’ is the combination of its slippery meaning – like mud, easy to throw around – and the special political horror that attaches to it. Under this term also slides its most horrifying incarnation, Nazism, waiting in the wings so to speak. But since Nazism has become so closely identified in public memory with the Holocaust alone, it’s the more indeterminate ‘fascism’ that takes the stage. Thirty years ago, when studying fascism was a scholarly cottage industry, the historian Noel O’Sullivan suggested that ‘the prevailing intellectual mood of our age has inevitably made fascism incomprehensible to us’, because fascism – far less Nazism – was ‘not supposed to happen at all’. It contradicted the optimism characteristic of modern western thought, but at the same time it exposed the tension between the activist-democratic and limited-liberal styles of politics that have prevailed in Europe since the French Revolution: the fundamental question here is how much power can be entrusted to the people. Fascism, like populism, is a creature of democratic politics, its shadow and its threat – or, depending on your interests, its promise, a weapon with which to beat the masses back into submission. These questions are back on the agenda with a vengeance. ‘The intellectual mood of our age’ has been ambushed again by something that now seems to have been lying in wait, gathering force, in Europe and now in the USA. But now it has to be confronted, not just historicized. Anyone who studies modern history always has at least one corner of one eye trained on the present; and there are moments when the encounter between present and past suddenly forces itself to the centre of our field of vision. The moment of Trump is one of these. But this eruption does not mean simply that we should paste bits of the past onto the present and see if they fit. The point is how the history we already know can be used to make sense of the present. I’ll focus on three of the most pressing issues where I think the history of fascism offers us something usable. This leaves a lot out, and in any case the aim is not to play a taxonomic game, but to try to identify points of risk and resistance. If I use the case of Germany, this is not to substitute Nazism for fascism in all its guises, but to disclose some of the crucial mechanisms through which power can be translated into tyranny. 1. Crisis and opportunity: The fascist movements of interwar Europe were the creatures of war and defeat, revolution and political violence, economic inequality and depression: in a word, systemic crises of national identity and security. In Germany and Italy, they were eased into power by the patronage of elites who were unable to control the pressures of popular democracy through the existing mechanisms of political parties and the state. Today’s atrophied systems of political organization and representation are also struggling to maintain their authority. The situation is by no means as critical, but Trump’s initial success has been built on the exhaustion of the resources of the US party system, Democrat as well as Republican. The USA has proved vulnerable to the threat of a type of movement that groups itself on the edge of the body politic and does not guarantee to play by the rules of the political or – potentially – the constitutional game. The poster-child for political and constitutional manipulations was Germany in 1933. There the 1919 constitution provided emergency powers for rule by decree that had become familiar by use and misuse in the 1920s and early 1930s. When the Nazi seizure of power began in 1933, the weapons of the constitution were too easily turned against itself. It was decommissioned in all but name, taking all political and civil rights with it and turning power over to an unfettered executive. In America, the constitution may be more robust, but it has already given away some of its protections. The leading edge of tyranny is the 2001 Patriot Act (twice reauthorized under Obama) which, among other things, authorizes the indefinite detention of immigrants suspected of terrorism and provides for the immunity of some FBI actions from judicial review. Reliance on the power of the constitution will not be enough to guide strategies of defence against tyranny. And one other point. The chaos of the transition suggests that this highly personalized movement, having turned its back on political convention, will introduce a dynamic disorganization into government that will put orderly decision-making at risk. Competing centres of power and distorted chains of command were endemic to fascist regimes, exposing unregulated spaces for radical forces to exploit. 2. Figures of the enemy: In Italy and Germany alike, fascist regimes were carried to power on the promise to vanquish the threat of communism, physically as well as politically. Hence the systematic violence that paved their way to power, and its unrestrained scale and intensity after they took over. Exploiting widespread stereotypes, Nazi propaganda elided ‘opponent’ with ‘enemy’ and ‘criminal’; it identified ‘the communist’ and ‘the Jew’ as a composite figure of limitless threat and subversion who had to be eliminated from the body politic. For all the difference between the organized communist party of Germany and the diffuse Muslim and immigrant presence in the USA, America’s political discourse has proved vulnerable to similarly intensified images of ‘the Muslim terrorist’ that are in essence no less troubling. In fact, Trump’s campaign played with great success on the double equation Muslim/terrorist and immigrant/criminal, proposing excision as the solution to both. An absolute priority is to force apart these tendentious and dangerous elisions, and to refuse militarized frontiers and mass deportations. 3. Whose interests: In the 1920s and 1930s, Marxist theorists held fascism to be a mass movement exploited by capitalism to protect itself politically from the threat of communism. But the idea that fascism was not what it seemed was more widespread than this. Numerous commentators from across the political spectrum also warned that these movements that claimed to represent the interests of a wide spectrum of ordinary members and supporters had neither the intention nor the capacity to deliver on their incompatible promises. But once in power, maintaining the facade of that unity was what drove the violent repression of dissent. The current globally mobile power of financialised neo-liberal capitalism does not, on the face of it, seem to need the defence of a fascist mobilization. It has sucked what it needs from the body of liberal states, and has been allowed to ignore the remnant claims of their weakened fiscal institutions with staggering ease. Whether it can continue to do this is at least in part an international question that cannot be resolved by the actions of a single state. Trump’s victory has been widely assigned to popular revulsion against this, especially among those whose status and livelihoods have been shattered by the effects of neoliberalism, and who respond to his promise to restore jobs and respect. Yet it is clear that the sources of Trump’s popular support were far wider than this, including many middle-class voters motivated more by anxiety than despair, and by broader ideological motives. It may be a hard task to keep his constituencies together. He will also have to confront the incompatibility of his stance on immigration and trade protectionism with the needs of powerful US business interests. But we cannot rely on the eventual fragmentation of his base; and in any case, will that matter? Or will power have been redistributed by then to more impregnable locations than a disappointed electorate? So what have we learned from the history of fascism? Caution, perhaps: not to cry wolf whenever we spot a political opponent who does not look quite like us. This misleads and antagonizes in equal measure. In any case, what we face is going to be appalling under any name. To combat it we need not to shout louder but to look more closely. So, above all, vigilance: not to let misplaced moderation or sheer anxiety cloud our judgment as events unfold. Fascism is not just the big bang of mass rallies and extreme violence; it is also the creeping fog that incrementally occupies power while obscuring its motives, its moves and its goals. It is about inserting demagoguery, violence and contempt for the rule of law into the heart of popular politics. 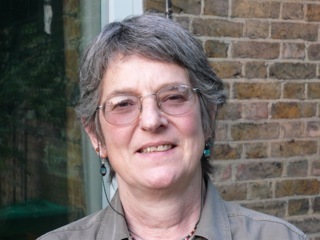 Jane Caplan is Emeritus Fellow of St Antony’s College, Oxford, and Emeritus Marjorie Walter Goodhart Professor of European History at Bryn Mawr College. She is a leading historian of Nazi Germany and the history of the documentation of individual identity. Professor Caplan was involved in establishing one of Britain’s first university courses in women’s studies. She is also an editor of History Workshop Journal. Thank you Jane – so trenchant and intelligent and helpful. What a perceptive article, written with style and clarity, and enthralling to read. Thank you, Jane. Thanks for your analysis, Jane. Vigilance, absolutely also not to be paralyzed by fear. If you are interested in people whose style is fascist, Putin and Erdogan have had their hands on the levers of power for the last 15 years. Not a peep out of western leftists over them though. Apart from that, the United States’ political system is perfectly able to absorb any efforts by Trump to change its character. Changing the character of the system is what fascism is about, not simply nasty leaders. So: Putin has shaped Russian institutions to his own ends, he has naszi, his fascistic youth organisation, and the mass media tow his line; in Turkey, Erdogan has not silenced opponents but he has put hundreds of journalists in jail along with the leaders of the third largest party in parliament, on no evidence whatever, and transformed the educational system so that any secondary school pupil with a low income who cannot go to a private school will have 10 hours a week islamic instruction in state school; in Poland PiS has totally ruined the state TV broadcaster and it pumps out pro government propaganda; Orban in Hungary has captured many state institutions including even the academy of sciences. So: Trump may be a nasty m,an, but this talk of fascism and comparisons with the 1930s are ridiculous. Obama was possible 8 years ago and 4 years ago. Someone similar will be possible in another 4 years. “Not a peep out of western leftists over them though.” You must be deaf then, since the European left have been very critical of Putin & Erdogan. Ridiculous what do you use to come to that conclusion. Why did Trump nominate an A.G. Sessions who is an admirer of the KKK ? Why Obanan who said after the killing of the 9 African American we should hold high the confederate flag. Why three generals including one to head the Defense Department ? Trumps methods and hi stated goals are not ridiculous they include ” Make America Great Again” how by going to war? China maybe. Deal with reality and stop with the reading of tea leaves. As one Irish Senator put it “the American people have elected a fascist”. To illustrate the desire to through mud recklessly, we see the odd charge that Trump is also a member of the KKK — an organization remarkably racist and white supremacist in nature. Yet, due to a remarkably unforgivable act by Abraham Lincoln in the KKK’s eyes — one cannot be a member of the Party of Lincoln and a member of the KKK. Personally, I have been asking myself to what extent are we really looking at the fact on the ground equivalents in Europe before the Crusades occurred: multinational coalitions in the Middle East dealing not with precious spice and silk trade implications but with oil. Immigrations into Europe presenting cultural risks. Then, the question about advanced weaponry — not gun powder — but Nuclear materials processing. Shall we see the likes of Richard the Lionhearted, Dark Prince John and Robinhood next? Or, shall we see advances like the Magna Carta in response to abuses of the US Homeland Securities Act and unrestricted use of Drone Weaponry? Henry Giroux uses the term “proto-fascist” to account for the slippery nature of this term. History’s recorded fascism informs, but can’t pinpoint the Trump event. You should think with Giroux–so beneficial. Thank you. A very clear and helpful article that deserves a wide reading. Those of us who are in deep despair about Trump and what his election tells us about the state of American democracy need to snap out of it and start charting a way forward. The perspective here will help — I hope. Very helpful and nuanced piece on the contexts and conditions that allow authoritarian and fascist regimes to emerge. We live in political fluid and dangerous times. Another very helpful article was published by historian Robert O. Paxton in 1998 titled, “The Five Stages of Fascism,” that later appeared in the form of a full-blown book; it underscored precisely the relentlessly opportunistic and contradictory nature of such movements. Many nervous U.S. pundits are hoping that U.S. institutions will resist Trump by transforming him (“he will grow into the office”) as opposed to the other way around. But I am less sanguine for we must remember that Trump by virtue of his populist campaign based on intimidation and physical threats has already transformed U.S. politics, public discourse, and the Right by mainstreaming white nationalism and authoritarian rule in the guise the capitalist folk hero as entrepreneur (https://www.academia.edu/29863898/_Trump_as_Capitalist_Folk_Hero_or_the_Rise_of_the_White_Entrepreneur_as_Political_Bully_Black_Renaissance_Noire_16.2_Fall_2016_92-95). And there is nothing that guarantees that he won’t avail himself of the levers of power (esp. national security apparatus from the FBI to the CIA) once he assumes office to advance his popularity and rule. Yes, I’m wary too. Robert O. Paxton’s THE ANATOMY OF FASCISM opened my eyes, that I may never use the word ‘fascist’ inaccurately again. Yes, another vote for Paxton’s book as very illuminating reading. By all means! My main take-away, for differences between then and now from my own reading, is the extreme poverty which prevailed in Germany during the Big Depression. There is no comparison to general economic conditions in the U.S. now. What about obduracy in the defence of democratic values and avowedly open and honest political discourse? Or shunning all those who give welcome to intimadory forms of discrimination based on racial, sexual or class distinction? What about defending human and civil rights in times of Turmoil? This a stimulating piece trying to make sense of Trump’s coming to power. But we must remember he was defeated by 1.7 million votes and it was the anachronism of the US electoral system that gave him the presidency. I don’t really think, despite rhetorical parallels in Trump’s speeches and crowd reactions, that there is a serious fascism afoot. Rather he represents the anger and disorientation of wide swathes of laborers and middle class workers. The ideological struggles under Weimar allowed for a prescriptive anti-Socialist/Communist Nazi movement to arise. In the US, the Democratic and Republican parties, neither of which are exhausted since they are both behemoth electoral machines with little national ideological coherence. I don’t believe Trump represents an independent ideological movement but a confused entertainer who will quickly be ensconced into the neo-capitalist system that allowed him to prosper. I think the anti-Mexican and anti-Muslim rhetoric redounded mainly because of U.S. deindustrialization and the job threat of the “other” more than their avowed criminality or religion. I think it is important to remember that generally speaking authoritarian regimes do not come to power in democracies via landslides and sometimes not even pluralities but rather by availing themselves of the levers of power they won through elections. Moreover, most progressive/left analyses did not grasp the power and appeal of Trump’s brilliant populism through media-disseminated intimidation and his macho capitalist persona. In this regard, as again Paxton points out, many populist movement are often not ideologically coherent but rather relentlessly opportunistic as they seek political advantage; it can be a political strength, not a weakness. 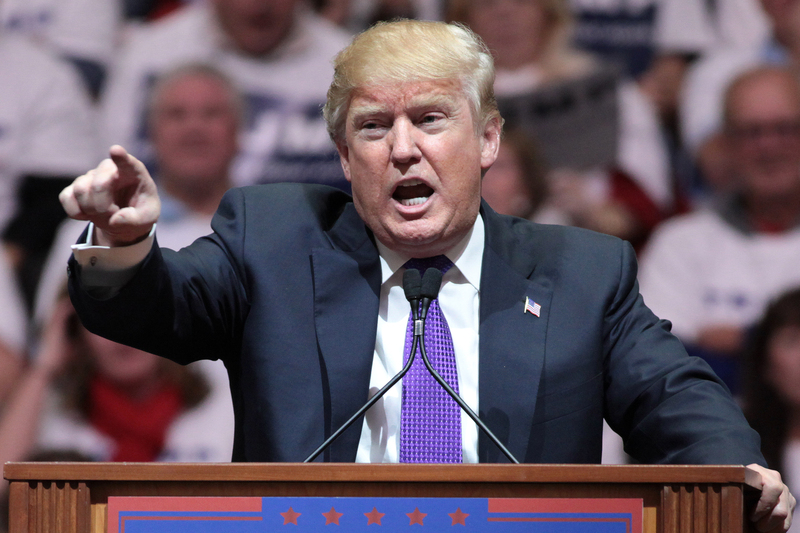 And even before his (accidental) electoral victory, Trumps had already succeeded in transforming U.S. politics, public political discourse, and the Right. Caplan’s analysis is too mainstream liberal; her analysis, in other words, follows closely the Stalinist-Popular Front analysis of fascism of the 1930s. What Caplan’s analysis lacks is the acknowledgement of the relative autonomy of fascist movements, that is, she overemphasises the big business backers. Caplan also elides the central fact that fascism and Nazism were quintessentially the spearhead of European counter-revolution against Bolshevism and the world-wide attempt to spread the praxis of the Russian Revolution. Her opposition to chialistic movements puts her into the camp of liberalism. I really don’t see how you could call the Stalinist-Popular Front analysis of 1930s fascism “mainstream liberal”? Many on the left are now considering how far an analysis of fascism or Nazism (and here I’m considering only Nazism) helps us to understand- and confront- the Trump phenomenon. Caplan’s is a first important bite at this but I find there are some weaknesses in her analysis. It is also worth reminding ourselves that, significant though Trump’s victory is, he got no more votes than the Republicans in the last election. It is rather that the Democrats lost votes. And while psephology has severe limits, actually Clinton received more votes than Trump! When considering a comparison, the many different analyses and variables need to be separated out to explain the rise of the Nazis. I suggest what was especially significant was the German ruling class’s fear of a turbulent and well organised working class. Of course, this is a not a sufficient explanation: there were other precipitating factors such as Germany’s defeat in World War One and the rise of ultra-nationalism especially amongst the unemployed and a layer of the economically insecure middle class, such as teachers. None of these factors apply- yet anyway- to the present conjuncture in the US and to the vote for Trump. Caplan’s suggestion that Communists and Jews were composited as a threat in the eyes of the Nazis is misleading and does not, I suggest, aid a comparison with the position of Muslims in the US. Though there was conflation between Communists and Jews by the Nazi Party, the Communists were understood by the Nazi Party when first in power as the people who had to be dealt with first, not the Jews: first they arrested the Communists, then the trade union leaders and the Social Democrats and then the left intelligentsia: all done by April 1933. The KPD was seen as fishing in the same working class pool and was hated as an ideological enemy. KPD members were never presented as ‘unter-mensch’. The Nazis did not play on the terrorism of the KPD. Violence against the KPD was a tool and one the KPD as a party did not generally wish to confront – though this doesn’t apply to all their cadres. (Except in rare cases, the Nazi storm troopers and thugs won.) On the other hand, the Nazi Party was antisemitic from its beginnings, though one must not conflate this with the later use of the state to exterminate all Jews. This policy was crystallised and in effect officially endorsed by the German State of the Wannsee Conference in January 1942 arguably as the Nazi advance into the east was checked. This scenario does not compare with Muslims in the US. Yes, Trump is coming out with racist filth against the Muslims and every racist is climbing out from their ideological hiding places, but there is no suggestion of Muslims being sub-human or of moving American Muslims to live in countries the US will conquer or indeed of their casual or systematic extermination. Don’t get me wrong: I think the best way to organise against Trump (and UKIP etc) is to take a strong anti-racist stand [;] but we need to be clear what our enemies represent. Finally, I urge readers to take note of Caplan’s ultimate point. My father, a political refugee who fled on the night of the Reichstag fire, taught me, to remember that ‘Nazi’ stands for National Socialism. Look at Trump’s programme- which I suggest we take seriously- and note how far he, similar to the Nazis, is aiming to draw in the working class voter with his polices while actually supporting the interests of American business. The Democratic/Labour as well as Republican/Tory governments with their neo-liberal policies have paved the way for the massive economic and social discontent which manifested itself in the Brexit and Trump votes. Globalisation far from resolving the contradictions is going to exacerbate them: the ‘working class’ in the US does not benefit from globalisation nearly as much as the rich, and arguably benefits from it very little. So the growth of a modern SA feeding on mass popular discontent can’t be ruled out. One present difference is indeed the absence of an ‘SA’ or equivalent in the US. The Nazis were crucially a mass movement; Trump’s success is electoral, at least for now. But watch those ‘informal’ groups of men with guns out patrolling their neighbourhoods with the tacit approval of the proper police. No, they are nothing like the SA: yet. But Trump cannot succeed. Technological advance alone makes full employment very unlikely. And I don’t see Trump investing in alternative technology and energy supplies and offering jobs that way. And that is just the start of it. I fear mass discontent from the right before Trump’s four years are up. Then we can tremble before the reappearance of a modern SA. For now, we need to build a left anti-racist presence and to take on the intellectual and political elite who are already cowering before Trump’s fury. Interesting article. Thanks for disseminating it, Anna. No mention of Professor Roger Griffin’s ‘Core of Fascism’ : palingenetic populist ultranationalism. “Make America Great Again” is a perfect example of an archetypal fascist appeal. Seems to me historians and commentators are complacent as they (generally) admonish others about (crudely) making comparisons between Trump and European inter-war fascism. Invariably they present differences between then and now – and use those differences to dismiss the notion. But why wouldn’t there be differences between fascism in temporally and culturally different fascisms? As an ultranationalist movement, every national fascism will have its own characteristics which arise from the national culture in question. The Nazi ascent to power was never under a banner of promise of the Holocaust: that developed when power was consolidated, when opposition was neutralised and under the chaos and horror of a world war. The Holocaust was never a public goal of Nazism and it developed incrementally as Nazi power extinguished civic and political opposition. And it happened in secret. The Holocaust occurred well into the arc of the movement: who feared it in 1928? We don’t yet know the full arc of travel for Trump or Trumpism. Besides, the Holocaust is not intrinsic to fascism, it isn’t essential for the descriptor to apply. To my mind, both Britain and USA currently look like Weimar, not fascism, not yet. Most especially worrying to me is the almost complete public cynicism towards traditional institutions of power and authority: nothing is believed, and conspiracy theory has taken hold as a public/folk worldview and methodology. At such a point, as with Weimar, it’s difficult to see how the course can be changed. Which “discredited liberal” forces and institutions are going to persuade people to take a different course when they are dismissed simply on the grounds of being what they are (liberal/left)? Just look at public comments below the line of any popular, online newspapers: anti-racists are “the real racists”; liberals are “the real fascists”; climate change is “a conspiracy” promoted by “eco-fascists”, feminism by “femi-Nazis”. The language is already corrupted and the inverted rhetoric already so commonplace as to render “the fact-based community” nearly obsolete, such is the public disdain. People are choosing their own facts. Donald Trump was promoted by his pals the Clintons and the DNC. That’s why he won the Republican nomination. The only reason. He was a Democrat until 2009. Calling him a Nazi is ludicrous. “We need to be elevating the Pied Piper candidates so that they are leaders of the pack and tell the press to them seriously,” the Clinton campaign concluded. Thank you for the article. The US Constitution and the dispersal of power amongst state and local government is a powerful constraint on any President. However. Jane’s point about the Patriot Act is well-made. As Carl Schmitt observed, every democratic system has a ‘back door’: the state of emergency. France is currently governed by one. What would President Trump and his inner circle decide to do in the event of a renewed global financial crisis or a serious terrorist attack? It’s anyone’s guess. Thanks for this piece of analysis and the debate. Trump, as many others in Poland, the UK, Hungary, Turkey, France etc., are not only populist (as fascists were as well) but they are acting like fascist leaders. What if we observe only early stages of taking-of-power? Taking a look on Germany during the 1920s and early 1930s, stunning similarities may be found. Anti elite attitude, discontent and upset, distrust in government and established political parties, (felt) personal economic decline in comparison to an earlier generation, branding of others as enimies (to be “treated”), calls for action, day-to-day violence, education on history replaced by a nationalistic narrative, etc., have been motives of ordinary people to become fascist and made them vote (!) accordingly. As today, political parties moved to the right to regain public acceptance. But did they succed? We all know how the story ended. First they took the votes, then they took the government, then they took the institutions, and then they took … Populists don`t care.